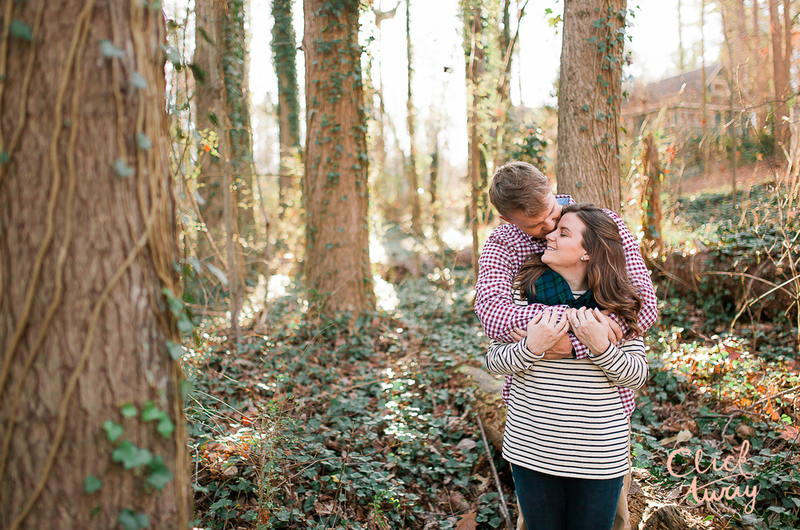 The light was oh so good to us during this charming, country e-session. Noah and Caroline picked two spots to take pictures. One was by a lake that they spent much time at growing up. They told me stories of things that took place at that location, and I know it was so special to them. I loved being able to capture such a memorable place in their relationship. Next, we went to a family member's property where there were cows and tractors.. pretty much the perfect country setting. This also portrayed the nature of this sweet couple as they live in Kings Mountain, NC and are used to being in the country on the daily. I loved how each spot they chose described either a part of their relationship or a characteristic of themselves. I love doing engagement sessions like these because they are personalized and mean more to the couple than a randomly picked location. I can't wait for these two to tie the know this December at their hometown church, followed by what I know will be a lovely reception at Loray Mills.